1 Place all the salsa ingredients in a bowl. Season, toss together and chill until ready to serve. 2 Put the garlic, chilli, lime juice, yogurt, Worcestershire sauce and parsley in a large glass or ceramic bowl, season and whisk well. Add the prawns and toss to coat. Cover and chill for 15 minutes. 3 Remove the prawns from the marinade and thread the prawns and peppers between 8 metal skewers. 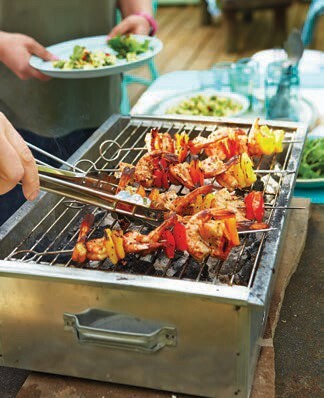 4 Cook the skewers on your preheated barbecue for 2-3 minutes on each side, or until the prawns are cooked through and completely pink. Serve with the salsa, salad and lime wedges for squeezing over. 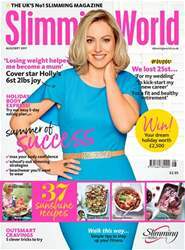 August/September’s Slimming World magazine is a real taste of summer sunshine! 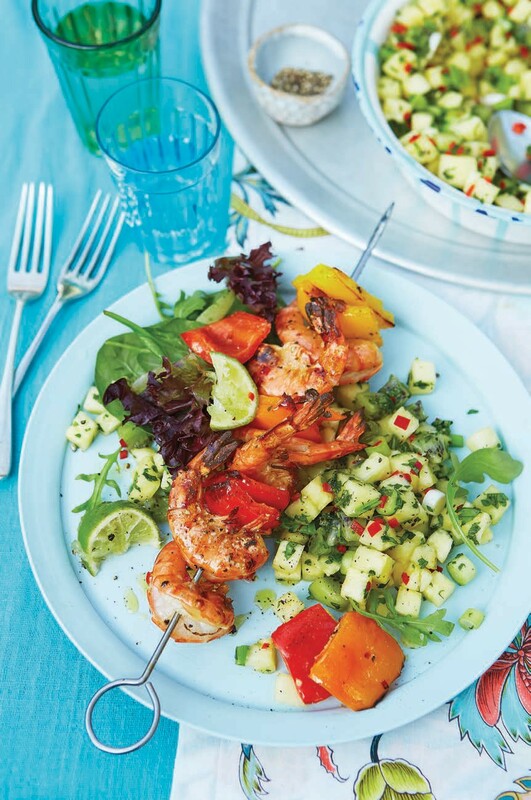 Kickstart your holiday slimdown with our easy weekday eating plan; share the success secrets of five amazing slimmers who between them have lost more than 30st; and brighten up your barbecue with our low-Syn recipes from around the world. Discover how to identify your craving culprits, survive the school holidays and get fit on foot. Plus beachwear you’ll actually want to wear! Download your issue now for a summer of slimming success.